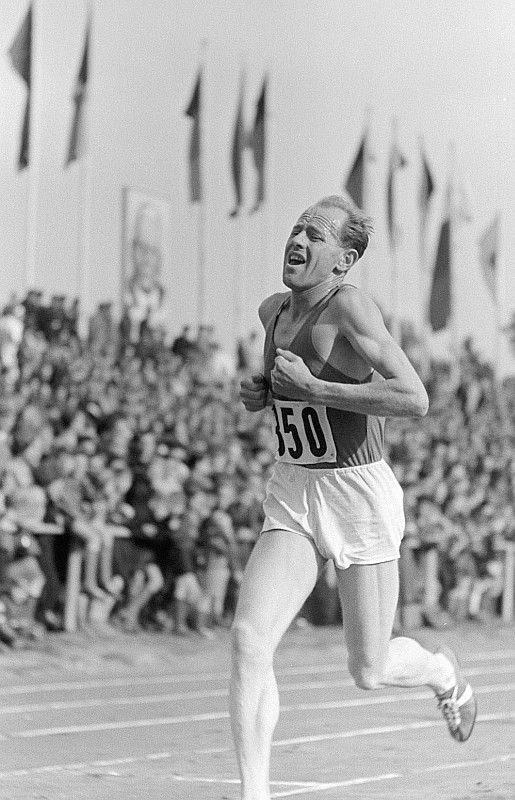 Emil Zátopek, photo: Roger Rössing, Deutsche Fotothek, CC BY-SA 3.0 DE Zátopek, born into relative poverty in the early 1920s, experienced many of the trials of 20th century Czechslovakia. The Nazi occupation, Communist takeover, Prague Spring and Soviet-led invasion. For Zátopek, his outspoken opposition to the Soviet invasion of August 1968 resulted in him losing his job in the army, many of his privileges, and eventually being recruited as a worker for a company drilling bore holes in some of the remotest parts of the country. In the sporting world, he is credited as pioneering, albeit in a sometimes unorthodox way, some of the training techniques that are now commonplace. 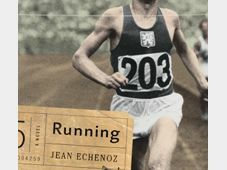 Zátopek was more than willing to share those secrets with his rivals and, sadly, a few years after his greatest triumph in Helsinki, he was being overshadowed by them. 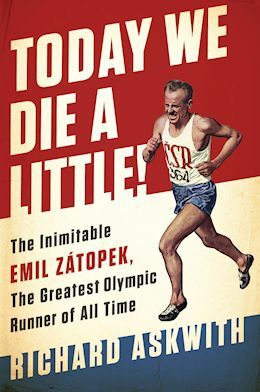 British journalist and author Richard Askwith has recently published a book about Emil Zátopek called “Today we die a little – the rise and fall of Emil Zátopek Olympic Legend.” The athlete comes across as a very complex man and it was clearly a massive task to try and work out when facts blurred into fiction. I asked Mr. Askwith when he first came to be interested in the Czechoslovak runner. 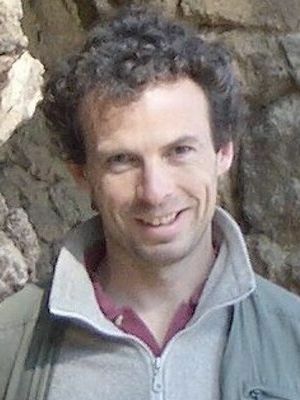 And the sources, obviously a lot of the people that he knew are no longer around, but you were able to speak to some of the people who knew him. And the archival material, perhaps we could talk about that. I presume there was quite a lot in both the army and secret police archives but maybe there wasn’t as much as you expected? As you mentioned in the book, there are a lot of myths and legends about Emil Zátopek. And he perhaps was one of the causes of that because he liked to elaborate, apparently. Could you describe some of those myths and legends and the ones that you were able to discount? 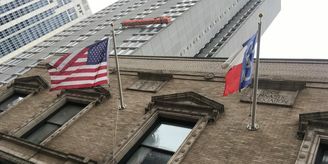 Photo: Nation Books “Yes, there were endless ones really. He loved to tell stories and he was very humourous, witty, and was a great entertainer and things often got exaggerated. One example, it’s not hugely important, is that it was often said that he used to train with Dana, his wife, on his back. Talking to Dana about it, she that it perhaps happened once but that was it. But going through the journalistic sources especially, I found interviews from the time with people and he is definitely saying it. Before the 1956 Olympics in Melbourne he injured himself in some way and he said I tripped on a root while training with Dana on my back and he had to have a hernia operation. Either that is a mistranslation or a journalist has exaggerated or whatever. But on the other hand I did find someone, a lovely American lady who must be in her 70s now, who had been growing up near Stará Boleslav, where Emil used to train outside Prague, and she had been carried on Emil’s shoulders when he was training in the woods as a child. But again, the timing did not quite match up with the injury and ultimately one can’t quite tell quite what happened. One thing you were able to pin down, and this surprise me because I had not been aware of it, was the flight to Helsinki and his protest before going to Finland for those Olympics. He stood up to the authorities and probably risked not going himself and probably a lot more. That does not seem to have been much in the public realm before? “Not very much, no. I think it did briefly emerge into the public domain. I think Oto Pavel wrote about it in 1967. But what must have happened is that almost immediately afterwards you get the Prague Spring and then Zátopek becomes someone you are not allowed to talk about and it really never made much impact. 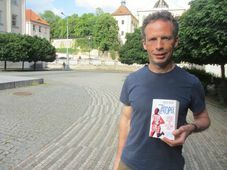 But yes, there was this really extraordinary story, that I start the book with, that in 1952, days before they are due to fly to Helsinki and it is the absolute highlight of Zátopek’s sporting career and, as it turns out, he will win this unprecedented clean sweep of distance running gold medals, and he must know that he has the chance of a lifetime. But they collect their plane tickets and he finds out that his friend Stanislav Jungwirth hasn’t got a ticket. 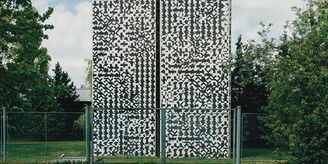 He has been dropped because his father is in trouble because he had been distributing subversive leaflets or something like that and the authorities decide that he cannot be allowed to leave the country to some non-Warsaw Pact country. Emil just loses his temper and says if he’s not going, I’m not going. And they have this amazing stand-off and the plane actually leaves without them. According to one account, there are thousands of Finns waiting in Helsinki to greet the amazing Emil Zátopek when he arrived and he was not there. It’s very hard to find the actual detailed records of what happened and when. They arrived on a later plane either a day or two later because the authorities ultimately lost their nerve. Emil was taken to the Ministry of Defense and given a ticket, but he thought he was being taken there to be arrested. For all the fact that his in the military and probably in the early days was probably a sympathizer with the Communist Party, it comes out later that he was quite outspoken and very independent in spirit, almost recklessly so? To try and sum up, the three gold medals in Helsinki, do you think they can ever be matched in today’s era? And finally, I suppose what contributes to the legend is that this was done in an era before drugs basically. I mean, okay maybe drugs were coming in in the late 1950s and 1960s in the Warsaw Bloc and elsewhere but the achievements were based on training and there is no suggestion that drugs were involved?